All propaganda must be popular and its intellectual level must be adjusted to the most limited intelligence among those it is addressed to. Consequently, the greater the mass it is intended to reach, the lower its purely intellectual level will have to be. The more modest its intellectual ballast, the more exclusively it takes into consideration the emotions of the masses, the more effective it will be. And this is the best proof of the soundness or unsoundness of a propaganda campaign, and not success in pleasing a few scholars or young aesthetes. The art of propaganda lies in understanding the emotional ideas of the great masses and finding, through a psychologically correct form, the way to the attention and thence to the heart of the broad masses. The fact that our bright boys do not understand this merely shows how mentally lazy and conceited they are. It is a mistake to make propaganda many-sided, like scientific instruction, for instance. The function of propaganda is, for example, not to weigh and ponder the rights of different people, but exclusively to emphasize the one right which it has set out to argue for. Its task is not to make an objective study of the truth, in so far as it favors the enemy, and then set it before the masses with academic fairness; its task is to serve our own right, always and unflinchingly. Should we just concede that in an electoral system where the way to victory is through mass appeal, this approach is most effective? Are the “bright boys”, “scholars and young aesthetes” (aka “elites”) misguided in thinking that laying out a “scientific” (i.e rational, fact-based) case is the way to go? Could it be that this has never been the case, and we should no longer even entertain that idea? My dad has been screaming at me for months Trump is like Hitler. That he is using Hitler tactics to get elected. My response has consistently been—Hitler won. It is the model that has mostly worked for the last 50 years, so it isn’t now the model. Worked for Nixon, Reagan, and, to some extent Bill Clinton and GW Bush. Didn’t work for others because they avoided it and it was not utilized in ‘08, ‘12, ‘76, or ‘88 (except for the Willie Horton ad). Spell it out, say it like it is, tap into what feels real, appeal to the lowest common denominator & you’re onto something, same with stand up comedy, give your audience material that reminds them of their own behaviour, their own childhood & you got them right in the palm of your hand. Who knew? Clearly not the Dems! Against an (EXPLETIVE) like Trump, it was their election to lose. But they lost by not nominating an electable candidate. Woe to us all. Still trying to figure out how you lost the election. White men are only 31% of the population. Not enough to decide the election but still a large demographic. Continuously berating white males as racist, bigots, and undesirables, can’t be a smart move regardless of your feelings about propaganda. Trump didn’t win this vote because he pulled them away but rather because the Democrats pushed them away. The democratic propaganda was effective but it was effective in disenfranchising huge segments of the population. Keep analyzing this, I’m sure you will eventually figure it out. Maybe screaming the same message even louder will work. What if we elected our presidents like this (see details)? Is the electoral college obsolete and open to corruption? 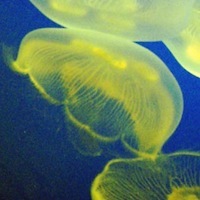 US jellies: Will you vote in the midterm elections this November 2, 2010?